Ericsson is one of the largest telecommunications companies in the world, and they got to be that way through more than a century of innovation and hard work. But regardless of how innovative they always have been, looking back on futuristic predictions of the past always provides a laugh. These two vintage Ericsson commercials are definitely good for a chuckle as they introduce or predict new products and services from the company. 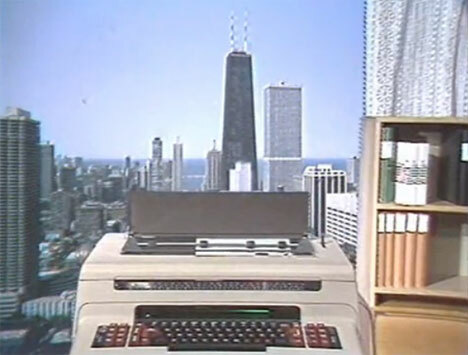 The first commercial promises technology that probably seemed pretty great in the mid-1980s but which no one really uses today. Things like wake-up calls and call forwarding not only never took off, but were replaced by simpler and cheaper options. The second video is for a device that pre-dates text messaging. It was called the Chatboard, and it plugged into a mobile phone for voice-free chatting. It turned out to be very close to the direction that mobile phone technology actually went in, with lots of today’s phone models coming with full QWERTY keyboards. See more in Vintage Videos or under Vintage & Retro. August, 2010.